LEGAZPI CITY (November 23) - Gold Trail Blazer recognition was conferred to the City Government of Legazpi at the helm of Mayor Noel E. Rosal by the Institute for Solidarity of Asia (ISA) for the courageous efforts to lift the standards of governance in the public sector Wednesday, at the Bayanihan Center Unilab Compound, Pasig City. 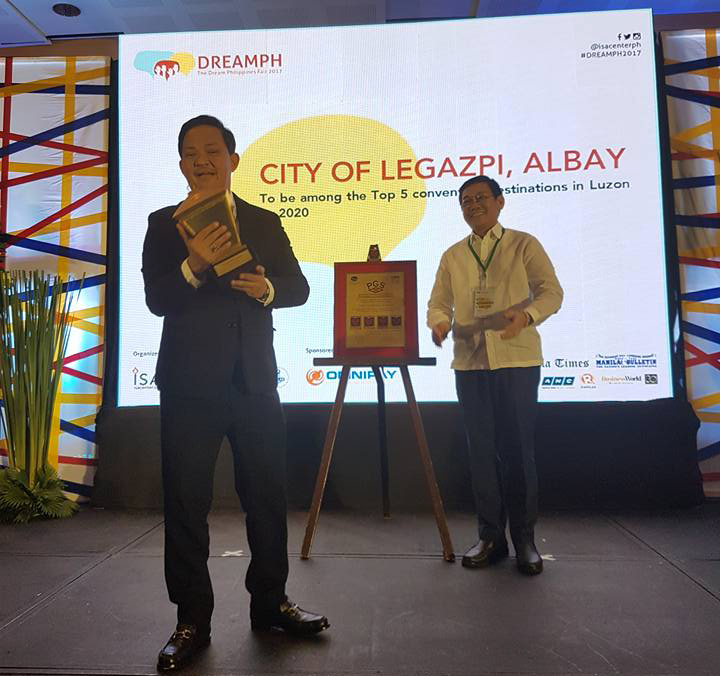 Prior to the award Rosal presented the Road Map 2020 that envision the City of Legazpi be among the Top 5 Convention Destination in Luzon. To increase tourist destination from 500,000 to 1.5 million by 2020 and increase convention from 84 to 100 by the year 2020 was marked as breakthroughs. In an exclusive interview by DZGB News Rosal said that local governance is always characterized by shared responsibility from the government and our people. He also extend gratitude to the city government employees for taking part in the tireless pursuit of excellence and integrity. “In Legazpi, it is not only the Mayor who thinks and plan in search for development, employees has the opportunity to illuminate his/her intended direction for the future", Rosal added.